Progressive Chat: Fired Up and Ready to go! President Obama delivered a barnburner on behalf of HRC. 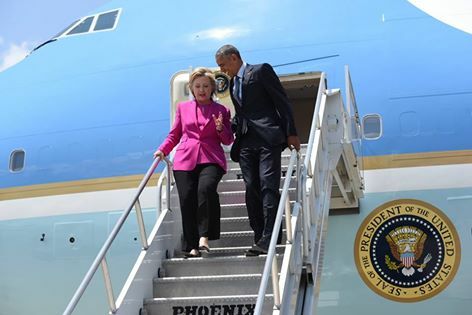 As Hillary Clinton breathed a sigh of relief of private email server "scandal" finally came to and end her day just kept getting better ... She landed in Charlotte in aboard Air Force One with President Obama in route to a joint campaign appearance. Boy did the Obama deliver! President Obama delivered a barnburner on her behalf on Tuesday, lavishing praise on her “steady judgment” as his secretary of state and criticizing Donald J. Trump for his own lack of transparency. 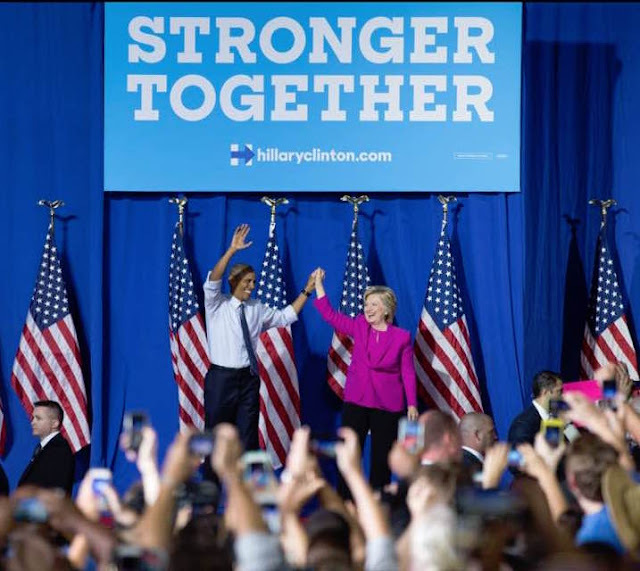 “I can tell you this, Hillary Clinton has been tested,” Mr. Obama said as he interrupted repeatedly by the cheering crowd. “There has never been any man or woman more qualified for this office,” the president boomed. He even delicately touched on Clinton's biggest weakness - the perception some have of her honesty. “Can I be blunt?” he said. “Hillary’s got her share of critics.” But, he added, “That’s what happens when you dedicate yourself to public service over a lifetime.” He marveled at her tenacity in the nominating fight they waged against each other eight years ago. In a cycle where anti-establishment sentiments have fueled the Sanders and Trump candidacies, the President highlighted Hillary's decades-long experience as a plus. There was lots of love and slogans touted at the event. None perhaps more salient than the President's response to boos in response to a mention of Trump. "Don't boo. VOTE!" and vote we must this November!